Death 1 April 1950 Elizabeth Ellen Crossley died on Saturday, 1 April 1950 at Mount Elliott, Wargeila, NSW, AustraliaG, at age 86. Birth 13 May 1867 Emma Amelia Crossley was born on Monday, 13 May 1867 at Wargeila, near Yass, NSW, AustraliaG. Death 15 November 1951 Ada Eliza Rosetta Crossley died on Thursday, 15 November 1951 at Rosebank, Wargeila, NSW, AustraliaG, at age 82. Married Name 1887 As of 29 June 1887, her married name was McGregor. [S2] Index of BDM records, NSW BDM, Place of Registration: Yass; Registration Year: 1869; Registration Number: 20071. Birth 29 May 1774 William Shelley was born on Sunday, 29 May 1774 at Hanley, Staffordshire, EnglandG. He was the son of John Shelley and Elizabeth Unknown. Marriage 13 June 1814 William Shelley witnessed the marriage of William Bean and Elizabeth Bradley on 13 June 1814 at Parramatta, NSWG; One of the witnesses was Esther Harley, the daughter of Thomas Bradley whose family accompanied the Beans to Sydney on the Buffalo. Burial He was buried at Parramatta, NSWG. Resettling at Parramatta, Shelley conducted Congregational services in his house and commenced work among the Aboriginals He attempted to learn the language, took some children into his own family and addressed Governor Macquarie on 'the practicability of civilizing them. He was invited to draw up plans and in December was appointed superintendent and principal instructor of the Native Institution at Parramatta, the first of its kind in the colony However, after establishing the school, he died on 6 July 1815. According to Marsden, with whom he was on intimate terms, Shelley was a man 'of very comprehensive mind.' Macarthur described him as 'respectable and intelligent' Captain House found him an over 'busy' person, whilst to W. P. Crook [q. v.], he was 'bustling and active', with his heart set on this world' Macquarie described him as well qualified and a 'Moral, Well Meaning Man' Mrs Shelley continued the work of the institution, but despite Macquarie's interest it met with little success and was closed in 1826. Shelley's plans to reopen the Tongan mission were also abandoned, but later Mrs Shelley persuaded Rev Walter Lawry [q. v.] to reopen it She died on 20 September 1878. Two of their sons, William (1803-1845) and George (1812-1852), were among the pioneers of the Tumut district, taking their herds beyond the Nineteen Counties in 1829. Occupation 1800 William Shelley was a missionary and trader in 1800. Religion He and Elizabeth Bean were Church of England. [S49] Lynn Smith, "Thomas Beane", Record #4. [S2] Index of BDM records, NSW BDM, Place of Registration: Parramatta, Registration Year: 1815, Registration Number: V18153432 2B. Birth 1776 Thomas Dunn was born in 1776 at EnglandG; or possibly Ireland. 10 October 1796 the Old Bailey, London, EnglandG Thomas Dunn was sentenced at the Old Bailey. 622. THOMAS DUNN was indicted for feloniously stealing, on the 24th of September, thirteen pieces of brown paper, value 1d. fourteen hundred and fifty two halfpence value 3 pound and 6d. and two hundred and fifteen farthings, value 4s6d. the property of Richard Pearce. The prosecutor is a brewer, in King street, Westminster, the prisoner was his servant, I am clerk to him; I have been in the habit if missing money for some time; on the 18th of September, I missed money from a place we call the iron-house, where we lock up our books for safety from fire, and there we frequently put a great quantity of copper money: we got a search warrant, and the Magistrates advised us to mark the papers; I accordingly told out 12 pound worth of halfpence, in five shilling papers; I put twenty four of these papers into the iron-house marked; on Wednesday the 20th of September, I missed seventeen out of the twenty four; I replaced that seventeen, with seventeen more marked; on Saturday morning the 24th September, all was safe in the iron house; at eight o'clock in the morning, when I went to breakfast, and returned at nine, I had left the keys of the iron-house hanging up in the counting-house, where they always hung; a few minutes after that, Mr Green saw him lurking about, and fancied he had stole some beer, and heard some keys fall: when I came to look into the iron-house, I found some papers of which these are the checks, (producing them); we had him then in possession, and applied for a search warrant to the Police-Office, then he was brought up, and confessed it. I am a brewer; upon entering the tun-room, I heard a person in the adjoining store-house, moving about, and I found Dunn in a dark part of the store-house, I enquired his business, and he told me, that he was assisting the tun-men, placing the barrels; there were no barrels for him to place, as the business was already done; I looked about and found these keys, which I had heard him, upon entering the store-house, let fall; I consequently took them, and bringing them to the light, I found they were the keys of the lobby and iron-house; I took them to the counting house to Mr Sweet, and told him I had discovered the means by which his money went, and immediately went into the yard and called the prisoner, charged him with having taken the keys, and insisted upon his appearing before Mr Pearce to clear the matter, and I took him to the counting-house to Mr Pearce, where I left him. Cross examined by Mr Ally. Q. You heard the keys fall? Q. They did not make any great noise, but such as if a man was going along and these keys were lying on the ground, as if he kicked against them? A. They were not upon the ground; they fell into a utensil about four feet from the ground, and six inches deep. Q. Was it after you went in that you heard it? A. As I entered the store-house. I was in the counting-house with the younger Mr Pearce, when he acknowledged it. Q. Was anything paid to induce him to confess it? SWEET. This is one of the papers that I had marked: the piece fits in, and the number too; I swear this is one of the papers I marked. Q. You pay your workmen some halfpence and some silver? A. Yes, according as their pay is; I used to pay them about seven shillings in halfpence. Q. It is no great wonder therefore that any man should have five shillings or six shillings worth of halfpence? A. No; but it was odd he should have marked by me for the purpose of detection. I belong to Queen square, Westminster: On the 24th of September I was sent for to apprehend this man, and in the counting-house he owned to me he had concealed twelve papers in the coal-hole; I went there and found these papers of halfpence in a coal-hole under a cloth. SWEET: These are ours also; he had worked with us fourteen or fifteen months. Mr ALLY: You had, I believe, a good character with the prisoner? A. I don't recollect that we had any character. Q. But he was raised from the good opinion you had of him? A. I never suspected him of it. He was a carpenter who had been tried at Newgate and sent to the Lafortuna and Ceres hulks. On 24 November 1798 he was transferred to the Hillsborough. 23 December 1798 Thomas Dunn was a convict aboard The Ship Hillsborough which left at Portland Roads, EnglandG, on Sunday, 23 December 1798 and arrived in Sydney, NSW on 26 July 1799. The Master was William Hingston. Three hundred convicts were on board the ship when it left England and the long trip to Australia was dreadful. Governor Hunter described it to the Under Secretary as follows - "Figure to yourself a ship having out of three hundred people embark'd in England, and having stopped for their refreshment several weeks at the Cape of Good Hope, yet hav'g upon her voyage buried of the above number ninety-five, and four since landing; those who still survive are in the most sickly and wretched state, put on board the ship in England with the cloaths only in which they stood, consequently arriv'd here naked, where cloathing is not to be found. According to the description of the voyage by William Noah, a convict died nearly every day. Discontent was rife among the convicts who meted out a horrible punishment to one called Wiltshire, whose nick name was "Muckbolt", for telling the sailors who among the convicts had removed their irons and how they were plotting to seize the ship. The convicts dealt summarily with Muckbolt by giving him twelve dozen lashes, gagged him and put needles in his tongue so he couldn't put it into his mouth. Some wanted to cut off his tongue for having betrayed them. The Captain, hearing of this then inflicted most severe punishment on all the guilty convicts. They were also deprived of provisions and water. The voyage was so uncomfortable that "indeed Death would have been a welcome friend". The Hillsborough was a large and roomy ship, and, according to the Transport Commissioners, had been fitted out on an improved plan; the bars on the prison being built far apart to admit the air more freely. She embarked 152 prisoners at Gravesend, and when she arrived at the Motherbank on November 17th 1798, her Master, William Hingston, reported to the Transport Board's agent at Portsmouth, Captain Charles Patton, that one convict died and several others were sick. Sir John Fitzpatrick, who had inspected the ship in the Thames, ordered the sick to be transferred to a hospital ship, and urged most strongly that the ship's complement of convicts should not be made up from the prisoners in the Langstone Harbour hulks, aboard which the gaol fever, or typhoid, had raged in a malignant form for some time. His advice was disregarded, as were his further protests after the Langstone convicts had been embarked. He insisted, however, that five prisoners, all in an advanced stage of the disease, should be disembarked, and all five died within a few days. The Hillsborough sailed in a convoy from Portland Roads on 23rd December 1798, and at once ran into heavy weather. As her decks required caulking, and the sea was breaking over her continuously, the convicts' quarters were deluged and their bedding soaked. When the weather moderated a few days later, a youthful informer told the Captain that many of the convicts were out of their irons and intended to murder the officers. Those found out of their irons were flogged, receiving from one to six dozen lashes each, and were shackled and handcuffed, some with iron collars round their neck. The allowance of rations and water was also reduced, so that for several days the prisoners were half starved. In all the circumstances it is not surprising that the disease carried aboard by the Langstone convicts spread rapidly, and from the beginning of January deaths became alarmingly frequent. Yet the convicts were kept closely confined and double-ironed, were short of water, and were half starved. It was, one would think, wrote William Noah, a convict who left a moving account of the prisoners sufferings in his diary of the voyage, enough to soften the heart of the most inhuman being to see us ironed, handcuffed and shackled in a dark, nasty dismal deck, without the least wholesome air, but all this did not penetrate the breasts of our inhuman Captain, and I can assure you that the Doctor was kept at such a distance, and so strict was he look after, that I have known him sit up till opportunity would suite to steal a little water to quench the thirst of those who were bad, he being on a very small allowance for them. According to Noah, thirty convicts had died when the Hillsborough anchored in Table Bay on April 13th 1799. There were then about 100 prisoners very ill, and although fresh provisions were served, deaths became so frequent that the authorities were alarmed, and the ship was ordered to move to False Bay. Noah alleges that to avoid further interrogation, the Master buried some of the convicts at the Harbour Entrance, but within a few days the bodies were washed ashore. On may 5, by which time at least 28 convicts had died since the Ship's arrival at Table Bay, the Surgeon, JJW Kunst, returned from Capetown with an order permitting the sick to be landed. Why this step was so long delayed is incomprehensible but it was useless because no provision was made for the proper accommodation of the patients ashore. When 146 were landed on May 6 they found that their miserable hospital had previously been a stable and was without a fireplace, windows and lavatory accommodation, and next morning 56 of the prisoners were returned to the ship. When the Hillsborough sailed on May 29 at least 50 of the convicts had been buried at the Cape. Governor Hunter, when the Hillsborough reached Sydney, described the survivors as the most wretched and miserable convicts I have ever beheld, in the most sickly and wretched state. almost every prisoner required hospital treatment. The frightful mortality was due primarily to the embarkation of the Langstone prisoners, but also partly to the harsh treatment of the convicts on the voyage. Noah's diary proves that they were kept double-ironed, and when on deck were chained together, so that they could not walk about at all, but had to stand up or lie down on the deck. They were inadequately fed, and, especially between the Cape and Port Jackson, the weather was so stormy that the prison was continuously damp and the convicts bedding seldom dry. Occupation December 1810 Thomas Dunn was appointed a Constable in December 1810 at Sydney, NSW, AustraliaG. Article June 1814 In June 1814 Thomas received 80 acres in Sydney on the recommendation of Mr Cowper. Occupation 1817 He was appointed District Constable in 1817. Occupation 19 October 1820 He was appointed Chief Constable on 19 October 1820. Article November 1825 In November 1825 Thomas was granted an additional 300 acres in Sydney by Sir Thomas Brisbane. [S139] Perry McIntyre & Adele Cathro, Thomas Dunn's Descendants, page: 63. [S49] Lynn Smith, "Thomas Beane", Record #5. 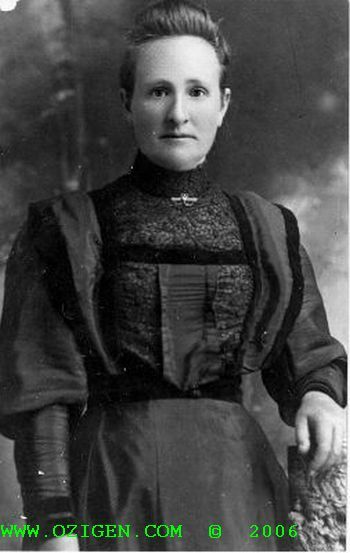 Birth 1846 Susan Hannah Muldoon was born in 1846 at Monaro District, NSW, AustraliaG. She was the daughter of Thomas Muldoon and Susan Browne. Name Variation Susan Hannah Muldoon was also known as Susannah as shown on the NSW BDM for her daughter Lucy's birth. [S49] Lynn Smith, "Thomas Beane", record #21. [S2] Index of BDM records, NSW BDM, Place of Marriage Registration: Yass, Registration Year: 1862, Registration Number: 3293. Birth 1827 Emma Saunderson was born in 1827. 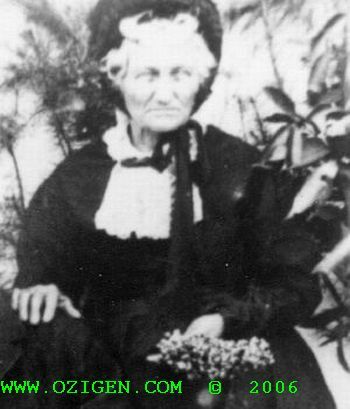 Birth circa 1812 Sarah McConville was born circa 1812; based on her reported age when she died. Married Name 1877 As of 1877, her married name was Bean. GUNNING. On Tuesday evening last, at the mutual improve ment class, the debate on the Abolition of Capital Punishment was postponed for a month on account of the paucity of members present. Sarah's name may be McGouville, as shown in the NSW Index of marriages. Birth 7 November 1819 Philip Collett was born on Sunday, 7 November 1819 at Botsdale, Norfolk, EnglandG. He was the son of William Collett and Mary Knights. Marriage 1 November 1841 Philip was married to Maria Hammond, daughter of William Hammond and Elizabeth Harbour, on Monday, 1 November 1841 at Wortham, Hartismere, EnglandG. Marriage 16 December 1845 Philip was married to Lucy Bean, daughter of James Thomas John Bean Jnr. and Esther Short, on Tuesday, 16 December 1845 at St Marks Church, Appin, NSW, AustraliaG. Death 24 October 1876 Philip Collett died on Tuesday, 24 October 1876 at Gunning, NSW, AustraliaG, at age 56. 26 October 1843 Philip Collett was a passenger aboard The Barque Neptune which sailed from Cork, IrelandG, on Thursday, 26 October 1843 and arrived in Sydney, NSW on 11th February 1844 under the Master William James Ferris. The ship was carrying 308 Bounty Emigrants; ten people died during the voyage and the ship was placed in quarantine for three days on arrival in Sydney due to smallpox. Article On Monday 1st November 1841, at the age of 21, Philip married Maria Hammant, 19 years old, (Hammond) in the Parish Church of Wortham. The witnesses to the wedding were Charles Elvin, Sarah Anna Bryant and Maria's two sisters Mary and Hannah Hammant. Philip was a farm labourer and Maria was to become a school mistress. They had a baby girl, Eliza, who was born on Tuesday 12th July 1842 in Suffolk, England. Eliza was to die at the age of 52 at Maldoon in New South Wales on Monday 13th May 1895. Philip and his family emigrated to the colony of New South Wales at the invitation of Maria's father, William Hammant. 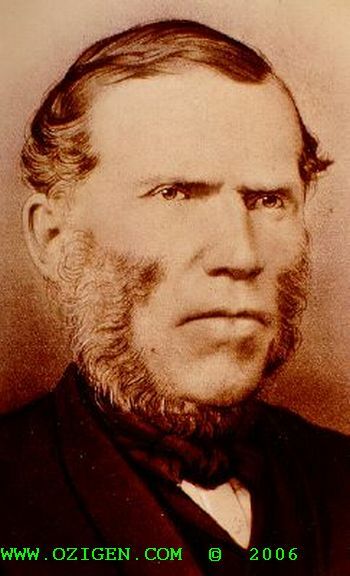 The Reverand Richard Cobbold of Wortham had married Philip and Maria and in 1843 he received a letter and a sum of money from the Bishop of Sydney, Dr. Broughton, who was a nephew of the Rev. James Merest, a former curate of Wortham for 40 years. The Bishop had been approached by Maria's father following a service at Appin, NSW and asked "Sir, I have five children at Wortham, would you be so good as to write and say 'if they will come to me I will take care of them', and will you have the kindness to transmit for me this sum of money for their passage" The five children referred to are assumed to be his three daughters - Maria, Mary and Hannah - his son-in-law Philip and his grand daughter Eliza as this was the family group that subsequently sailed for Sydney on the Ship Neptune. The Rev. Cobbold wrote that "I took the whole of his family (William Hammant's) - all daughters - one married Philip Collett, who went out with her, to the Immigration Depot. The family's final move was to the Gunning area where Lucy had a number of Bean family relatives. Philip died at Gunning on Tuesday 24th October 1876. [S593] Margaret Chadd & Michael Collett, "The 2nd Supplement of the Collett Saga", Report 1, 30 May 2003 from Margaret Chadd. [S515] Ian Collett, "Ancestors of Philip Collett," e-mail to Robert Mote, July 2004, e-mail report from Mrs Karen Bali, People Search Tracing Services. Death John Hoy died at AustraliaG. 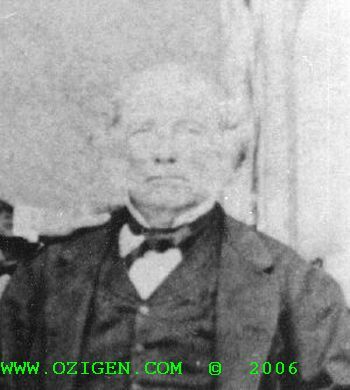 Birth 10 February 1819 He was born on Wednesday, 10 February 1819 at Liverpool, NSW, AustraliaG. 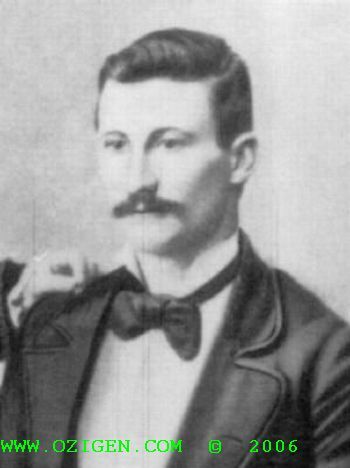 He was the son of Timothy Hoy and Bethia Freeman. [S2] Index of BDM records, NSW BDM, Parish of Marriage Registration: Appin; Registration Year: 1846; Registration Number: V1846303 31C. Birth William Gurney Thornton was born at Kent, EnglandG. Death William Gurney Thornton died at New South Wales, AustraliaG. [S2] Index of BDM records, NSW BDM, Place of Marriage Registration: Appin, Registration Year: 1852, Registration Number: V1852459 38C. [S125] Letter, Robyn Bode to Robert Mote, March 2000. Birth 29 February 1804 John Kentwell was born on Wednesday, 29 February 1804 at Hawkesbury River, NSW, Australia. He was the son of William Kentwell and Elizabeth Morris. Marriage 9 August 1824 John was married to Elizabeth James, daughter of Samuel James and Ann Bean, on Monday, 9 August 1824 at St John's Church of England, Parramatta, NSW, AustraliaG. Death 9 October 1897 John Kentwell died on Saturday, 9 October 1897 at Castle Hill, NSW, AustraliaG, at age 93. He was the son of Simon Moulds and Ann Davis. Marriage 25 January 1830 Simon was married to Rosetta James, daughter of Samuel James and Ann Bean, by Reverend Samuel Marsden on Monday, 25 January 1830 at Parramatta, NSWG. Death 31 October 1874 Simon Moulds died on Saturday, 31 October 1874 at Castle Hill, NSW, AustraliaG, at age 69. Occupation before 1874 He was a farmer and fruit grower before 1874. [S4] M R Sainty and K A Johnson, NSW 1828 Census, page 277, Ref. No. M3289. Birth 26 September 1819 Elizabeth Florella Brien was born on Sunday, 26 September 1819 at Seven Hills, NSW, AustraliaG. She was the daughter of Daniel Brien and Mary Ann Parker. Baptism 6 February 1820 Elizabeth Florella Brien was baptized on Sunday, 6 February 1820 at St John's Church of England, Parramatta, NSW, AustraliaG. Marriage 4 April 1836 Elizabeth Florella was married to John Robert James, son of Samuel James and Ann Bean, on Monday, 4 April 1836 at Parramatta, NSWG. Death 13 July 1909 Elizabeth Florella Brien died on Tuesday, 13 July 1909 at Kellyville, NSW, AustraliaG, at age 89. Burial 14 July 1909 She was buried on 14 July 1909 at St Pauls Cemetery, Castle Hill, NSW, AustraliaG. Married Name 1836 As of 4 April 1836, her married name was James. July 13 James, at Kellyville, at residence of her son H G James, Elizabeth, relic of John James of Castle Hill, in her 90th year. [S4] M R Sainty and K A Johnson, NSW 1828 Census, page: 61, record # B2298. She was the daughter of William Henry Fishburn and Catherine Ash. Marriage 26 July 1841 Amelia Ann Fishburn married James James, son of Samuel James and Ann Bean, on Monday, 26 July 1841 at St Simons Church, Rogans Hill, NSW, AustraliaG. St. Simons church was originally a stone barracks built in 1801 for convicts. It was later used as a lunatic asylum and from 1828 it was used for church purposes. In 1840 it became a parish church and was eventually demolished between 1850 and 1860. Records of St. Simon church were transferred to St. Pauls church, Castle Hill. Death 15 June 1909 Amelia Ann Fishburn died on Tuesday, 15 June 1909 at NSW, AustraliaG, at age 85. Burial circa 16 June 1909 She was buried circa 16 June 1909 at Mile End Road cemetery, Rouse Hill, NSW, AustraliaG. Married Name 1841 As of 26 July 1841, her married name was James. [S2] Index of BDM records, NSW BDM, Parish of Registration: Parramatta, St John's; Year: 1824; Number: V18241527 148. [S129] Letter, Elisabeth Jill Clift to Robert Mote, 20 April 2000. 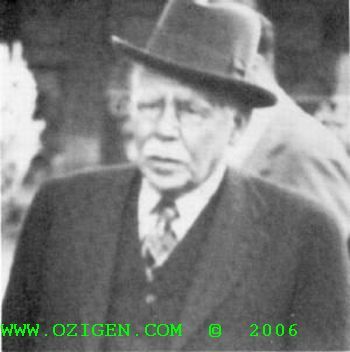 He was the son of John Hendle and Esther Beckett. Marriage Joseph was married to Sarah Unknown at New South Wales, AustraliaG. Marriage 16 December 1845 Joseph was married to Lucy Jane James, daughter of Samuel James and Ann Bean, on Tuesday, 16 December 1845 at St Marks Church, Appin, NSW, AustraliaG. Death 1859 Joseph Hendle died in 1859 at Queensland, AustraliaG. [S2] Index of BDM records, NSW BDM, Place of Birth Registration: Parramatta, St John's; Year of Registration: 1815; Registration Number: V18153546 1A. [S2] Index of BDM records, NSW BDM, Place of Marriage Registration: Parramatta, St John's; Year of Registration: 1840; Registration Number: V1840345 24B. [S604] Douglas Mason McDougall, "Alfred George Hubert McDougall's Family," e-mail to Robert Mote, May 2006. Birth 23 May 1855 John Sharp was born on Wednesday, 23 May 1855 at AustraliaG. Marriage 3 May 1880 John was married to Martha Maria Alt, daughter of Christopher Alt and Martha Crossley, on Monday, 3 May 1880 at Yass, NSW, AustraliaG. Death 26 November 1889 John Sharp died on Tuesday, 26 November 1889 at AustraliaG at age 34. Birth 1857 Thomas Fox was born in 1857 at Gloucester, EnglandG. Marriage October 1879 Thomas was married to Ellen Rayward, daughter of Richard Rayward, in October 1879. Death 6 March 1941 Thomas Fox died on Thursday, 6 March 1941 at Coogee, NSW, AustraliaG. Burial after 6 March 1941 He was buried after 6 March 1941 at Randwick, NSW, AustraliaG. [S2] Index of BDM records, NSW BDM, Place of Registration: Murrumburrah; Year: 1892; Number: 5212. He was the son of Robert Cox and Mary Tafy. [S500] Sue-Ann Burton, "Robert Cox's Descendants," e-mail to Robert Mote, 18 February 2005.